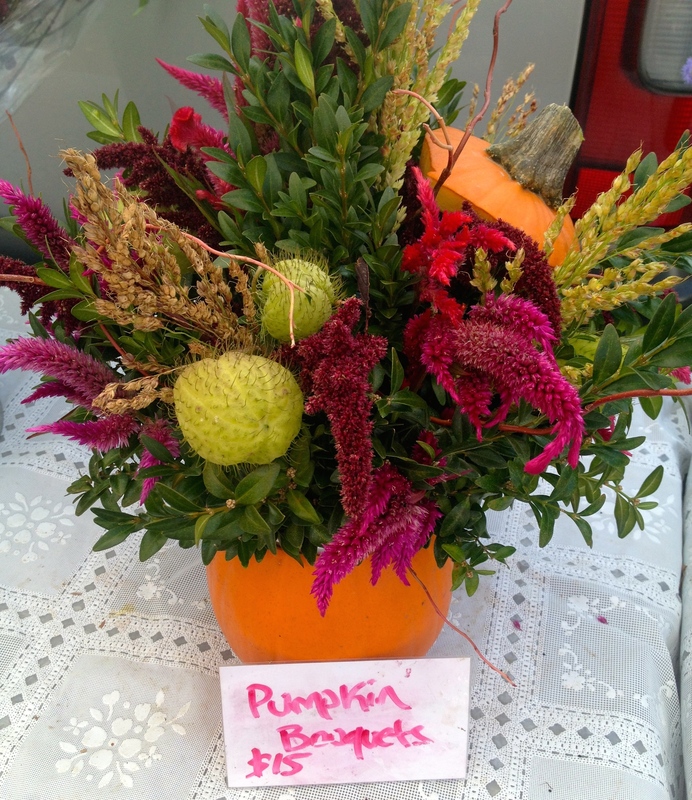 Wollam Gardens – a “destination flower farm” in Jeffersonton, VA – will sell their beautiful Pumpkin Bouquets, a wonderful piece for your Thanksgiving table. They will also have hand-crafted wreaths made from dried flowers – a great gift that will stay beautiful long after your guests have left. 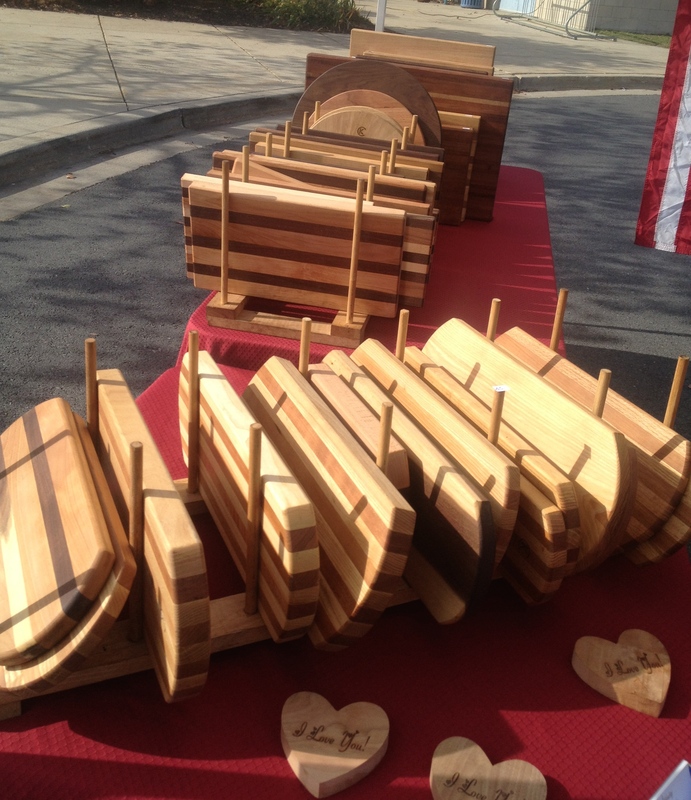 Affinity Woodworks will sell one-of-a-kind wood pieces at a discounted price. All wooden bowls are 10% off and all cutting boards are 15% off. Both of these items would make fabulous gifts for friends or family or as a great addition to your own Thanksgiving table. Stop by and meet KC, who will also discount any custom order taken during our Thanksgiving market. Pearl Fine Teas is a great place to pick up some gifts for your host or to pick out some tea to serve to your guests! Elise has prepared different types of tea-infused preserves, including Strawberry Assam Preserve, Blueberry Jasmine Green Tea Preserve, Earl Grey Nectarine Preserve and SourCherry Sencha. 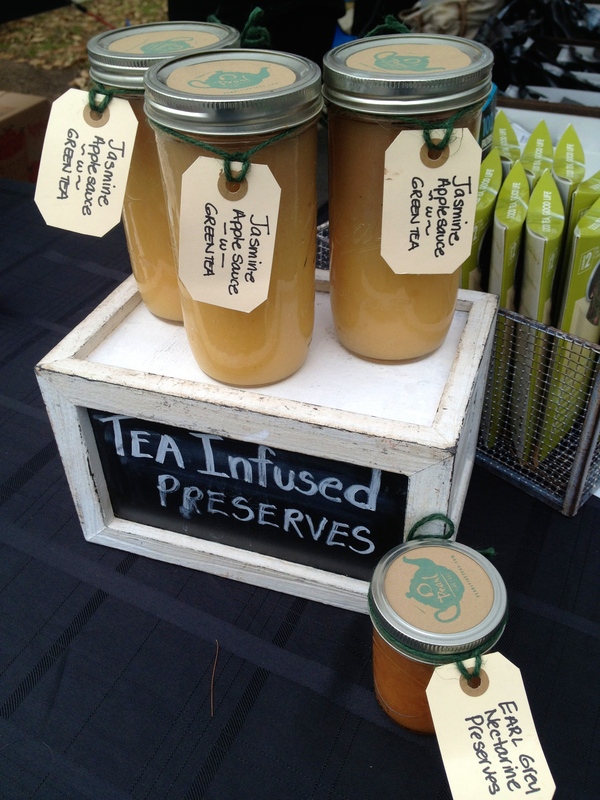 She will also bring her delicious mini tea-cakes and her new market hit, Jasmine Green Tea Applesauce – made with apples from Toigo Orchards! These will make great additions to your table! Two Acre Farm, located in Keymar, MD, specializes in all-natural preserves, sauces, condiments and more. For our Thanksgiving market, Nicole – a self-proclaimed “Artisan Agriculturalist”- will bring her one-of-a-kind Cranberry Sauce with Port Wine and Cinnamon, Mulling Spices for delicious cider and her famous Spiced Turkey Brine. Other goodies at Two Acre Farm worth a mention are Cranberry Vinaigrette, Cranberry Pepper Jam, Wild Rice Stuffing with Apples and Pecans, and Cracked Black Pepper Gravy. This is literally a one-stop shop for gifts and food items to help you complete your menu! 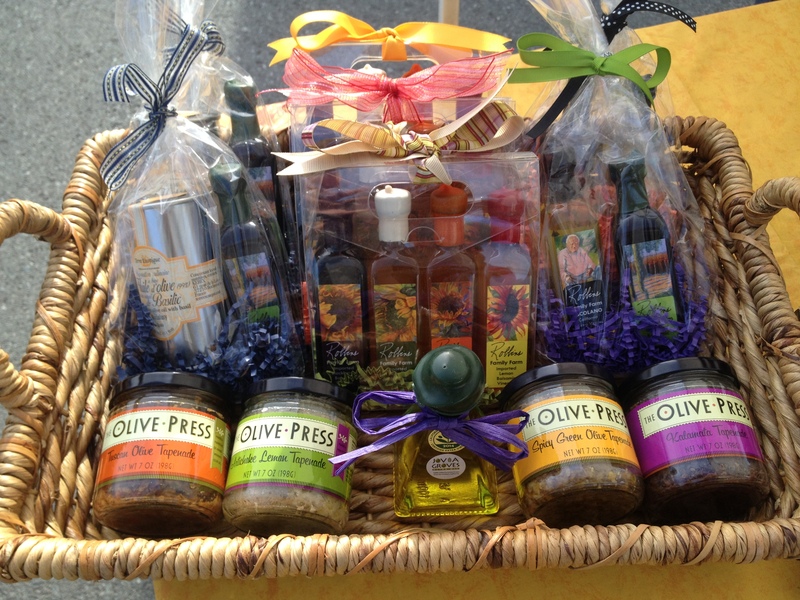 All Things Olive, the market’s supplier of a range of delicious, high-quality olive oils, have perfect gift-sized bottles in all flavors for you to cook with or give as gifts to your host/hostess. The couple that runs the stand, Lynn and Keith Voight, can help you find the best type of oil for whatever you might need. From buttery and bold to delicate and fruity oils, All Things Olive has it all. Chocotenango will have a great assortment of delicious chocolates for you to share with your guests or your hosts. They sell both bars and filled chocolates, as well as a wonderful gift – a tin of spiced hot chocolate mix, perfect for serving after the feast. If you’re looking for a great gift to go with a bottle of wine, look no further! Chocotenango sells boxes of chocolate that hang from a wine bottle’s neck – and you can pick the chocolate flavors that go with it! 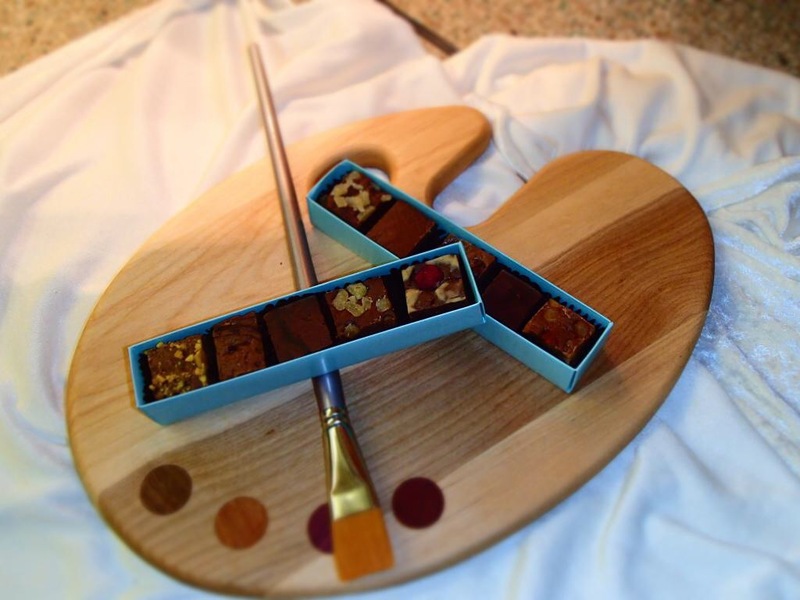 The Chocolatier’s Palette is offering Thanksgiving flavors in decadent Belgian chocolate. Their chocolate is dual-use at the holidays! The two-piece boxes are great for place settings; the five-piece boxes are perfect for thanking those who helped prepare the meal; and the twelve-piece box is a wonderful thank you to the host/hostess! Come taste a variety of flavors, from favorites like “pumpkin pie”, “sweet potato casserole”, and “cranberry sauce” to the more daring menu items: “turkey (jerky)” and “green bean casserole!” Twelve flavors in all—perfect for that 12-piece box! 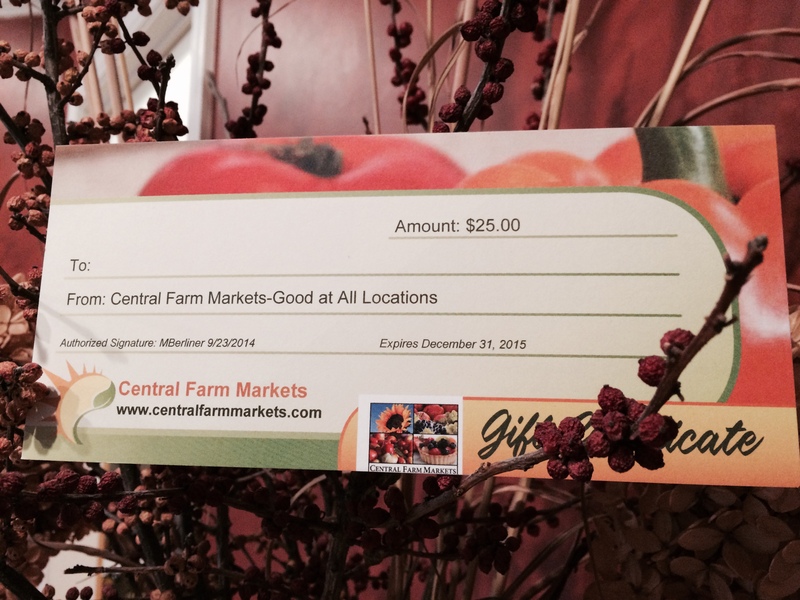 Central Farm Markets also has gift certificates available. You can purchase them at the info at all markets this weekend. After the markets close you can get them at Bethesda throughout the holiday season or e-mail Debbie Moser and she will send them to you. These make great host/hostess gifts as well as a perfect holiday present/stocking stuffer for anyone on your list. So come by the Thanksgiving Market on Tuesday, November 25! 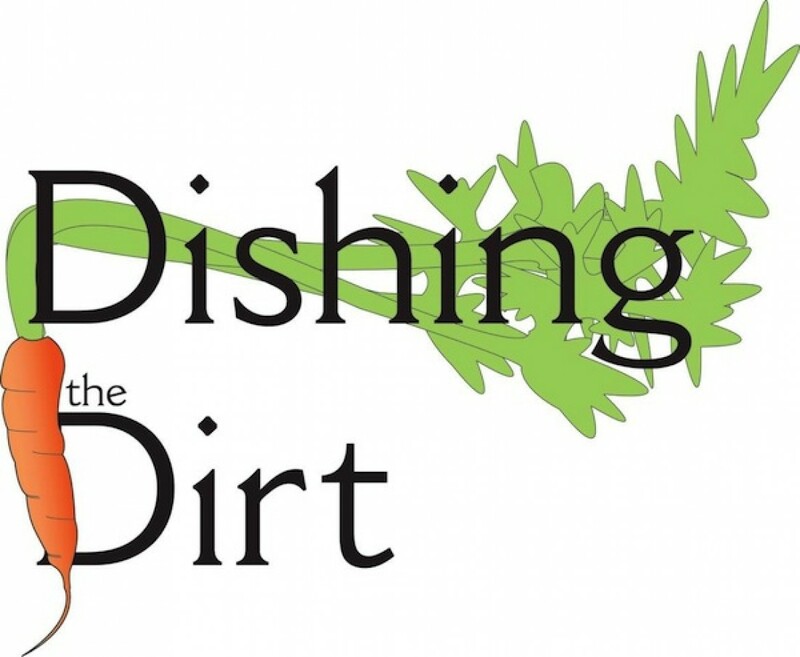 In addition to all the vendors mentioned here, many more of our vendors will be joining us to sell their farm-fresh products for your Thanksgiving Dinner. For the complete list of vendors and what they will have available, click here. If you have any questions, please feel free to ask. Also, don’t forget, we’re looking for unique farm-market recipes from our readers! I’ve received a few entries so far, but I’d love to hear from more of you! Share your recipes with me for a chance to win a $25 gift certificate to the market.